These crank control blackout unit features a heavy duty 1:5 gear mechanism operated by a magnetic detachable crank handle. All hardware in black powder-coated aluminium, with moulded black plastic fittings, for face or recess fixing and encloses 53mm grooved aluminium barrel. Heavy-duty gear mechanism at right, controlled by fixed crank handle. Blackout fabric, with heavy-duty bottom bar, is locked into groove in barrel and runs in 75mm side channels. Slim bottom channel for positive attachment to side channels. Light-transfer baffles within side and bottom channels, and side channels and head-box fitted with pile-seal light sealing. The C74 is the blackout unit of choice for many contract applications. Offering 100% blackout properties, it is simple to operate and very strong, covering large windows with ease. It is in use in many schools and hospitals where dependability is an essential requirement, but its sleek, good looks are at home wherever high performance light exclusion is called for. White hardware; No bottom channel, with bottom bar running down to sill; Fixed crank handle; Available in any RAL colour. The C74 crank control 100% blackout unit with magnetic detachable crank handle ,flame retardant blackout fabric, locked into grooved 53mm aluminium barrel along with aluminium bottom rail as standard. Heavy duty 1:5 geared crank mechanism is housed within black/white powder-coated aluminium head-box cassette, side and bottom channels and bottom bar supported by study brackets. The C75 is a premium 100% blackout unit with the luxury of fingertip electrical control. It’s quiet and reliable motor is housed within the barrel and supported by sturdy, aluminium cassette system. With the RF or infrared remote, and/or group control option, almost any control configuration can be achieved. White hardware; No bottom channel, with bottom bar running down to sill; Remote and/ or group control systems; Available in any RAL colour. 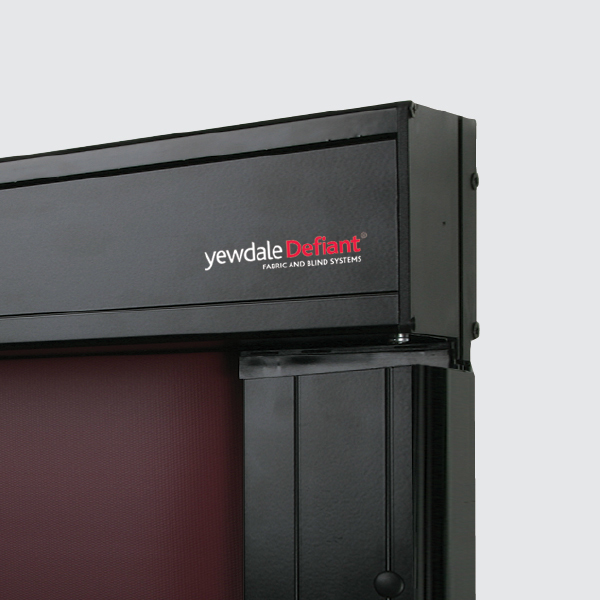 The C75 electric 100% blackout unit with 240v AC Somfy motor , flame retardant blackout fabric from the YewdaleDefiant® range, locked into grooved 53mm aluminium barrel along with aluminium bottom rail as standard. 240v AC Somfy motor housed within black/white powder-coated aluminium head-box cassette, side and bottom channels and bottom bar. The Overhead Crank operation overhead blackout unit. All hardware in black powder-coated aluminium for face or recess fixing and enclosing 53 and 57mm grooved aluminium barrels. Blackout fabric is locked into groove in barrel and runs in 75mm side channels. Light-transfer baffles within side and bottom channels, and side channels and head-box fitted with pile-seal light sealing. Fabric is mounted onto a sprung 57mm aluminium barrel whilst at the other end it is fitted to an aluminium bottom rail, attached to two draw tapes. These tapes are attached, between flanged guides, to the 53mm drive barrel, operated by heavy duty 1:5 gear control mechanism and magnetic detachable crank handle. The C76 blackout unit is the ultimate in choice for 100% light exclusion requirements for sloping or horizontal roof windows. With heavy duty componentry and tensioning action by powerful spring to the fabric roller, these blinds may be confidently specified for awkward or inaccessible locations. The magnetic detachable crank handle removes the common issues associated with locating the drive at height and solves the problem of unauthorised use. White hardware; Fixed crank handle; Available in any RAL colour. 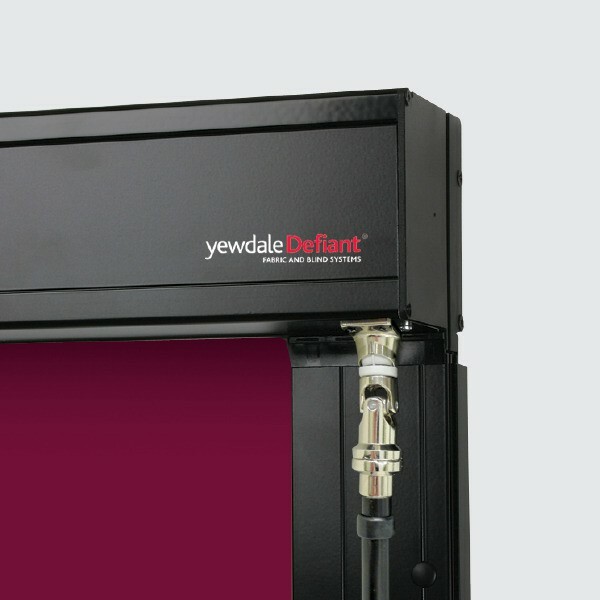 The crank overhead blackout unit with 1:5 geared crank Flame retardant blackout fabric, on 57mm aluminium barrel with enclosed spring attached to aluminium bottom rail as standard. 53mm drive barrel connected to gear control crank mechanism operates blind by means of draw-tapes to the bottom bar. Black/white powder-coated aluminium headbox cassettes, side and bottom channels and bottom bar. Incorporating detachable crank handle. The electric overhead blackout unit with a Somfy motor. All hardware in black powder-coated aluminium for face or recess fixing and enclosing 53 and 57mm grooved aluminium barrels. 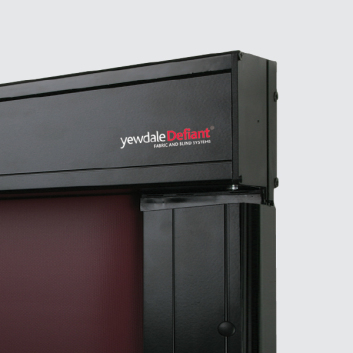 Blackout fabric, with heavy duty bottom rail, is locked into groove in barrel and runs in 75mm side channels. Light-transfer baffles within side and bottom channels, and side channels and head-box fitted with pile-seal for light sealing. Fabric is mounted onto a sprung 57mm aluminium barrel whilst at the other end it is fitted to an aluminium bottom rail, attached to two draw tapes. These tapes are attached, between flanged guides, to the 53mm drive barrel, operated by a 240v AC Somfy motor. The C77 blackout unit is the ultimate in choice for 100% light exclusion requirements for sloping or horizontal roof windows when an electrically operated solution is looked for. With heavy duty componentry and tensioning action by powerful spring to the fabric roller, these blinds may be confidently specified for awkward or inaccessible locations. The 240v AC Somfy motor, which provides the luxury of reliable electrical fingertip control, is housed within the barrel and supported by sturdy, aluminium cassette system. White hardware; Remote and/or group control systems; Available in any RAL colour. 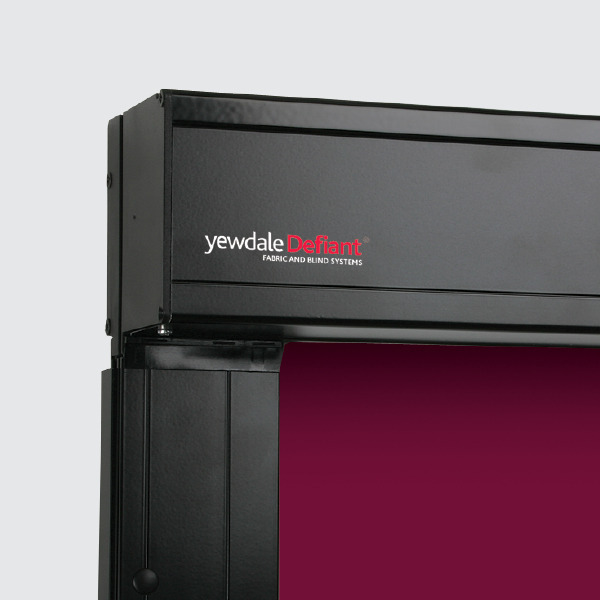 The electric overhead blackout unit with 240v AC Somfy motor is flame retardant blackout fabric on 57mm aluminium barrel with enclosed spring attached to aluminium bottom rail as standard. 53mm drive barrel connected to gear control crank mechanism operates blind by means of draw-tapes to the bottom bar. Black/white powder-coated aluminium head-box cassettes, side and bottom channels and bottom bar. Incorporating 240v AC Somfy motor.